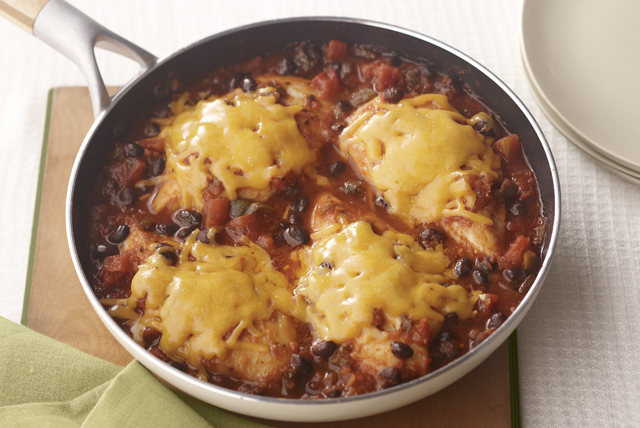 This Mexican chicken dinner menu proves once and for all that chicken breasts don't have to be boring! Toss in some creamy rice and a salad for the win. No dinnertime dilemma here. They like Mexican chicken. You like Healthy Living chicken recipes. With this saucy skillet sensation—everyone wins! Just another reason to love Mexican cuisine. A chicken dinner like this deserves a great rice side dish. 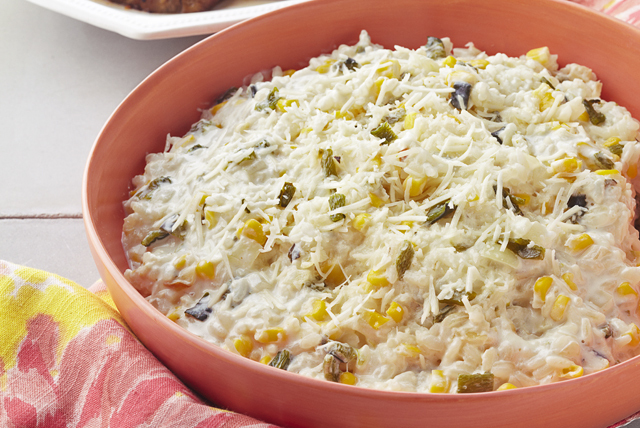 This Creamy Poblano Rice with Corn gets its creamy and cheesy from cream cheese and Parmesan. 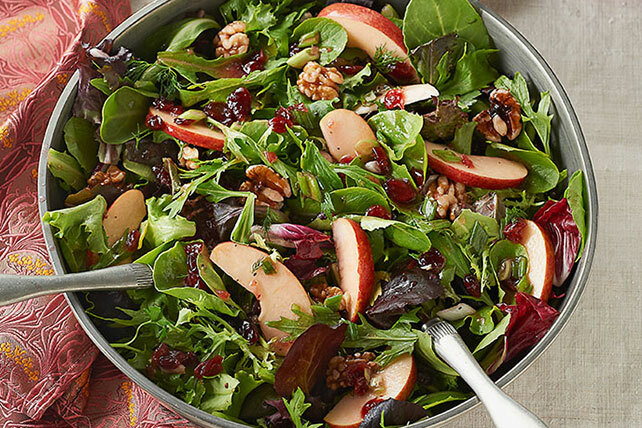 Round out the meal with a terrific Healthy Living salad recipe. This one gets its sweet-tart appeal from apples and dried cranberries. For help picking the best apples to toss in, check out this article on Seasonal Produce: Apples.